While cardiovascular disease (CVD) has emerged as the leading cause of morbidity and mortality in India, the number of patients who are treated with stents remains significantly low. A recent National Interventional Council report states that only three of 1,000 coronary heart disease patients in India are treated with percutaneous coronary intervention or angioplasty. NIC, the interventional arm of Cardiological Society of India (CSI), reveals that stent utilisation is very low in the country. India will soon bear the largest burden of heart disease globally. Over 61.5 million Indians are estimated to be suffering from coronary heart disease. The NIC report states that despite an increase in the number of cases, the rate of growth of coronary interventions has gone down over the past two years from 22 per cent in 2013 to 14 per cent in 2014. Over the same period, the percentage growth of stent use has dipped to 18 per cent in 2014 from 22 per cent in 2013. NIC collected data from 396 cath labs for the purpose of the report. It reveals that 70 per cent of these labs are conducting less than 500 angioplasties per year. The share of government-funded procedures reduced from 45 per cent in 2013 to 37 per cent in 2014. The report blames the lack of highly-skilled implanters and support staff, advanced facilities like cath labs and proper patient referral mechanism. Health activists, however, blame the prohibitive pricing of stents in hospitals for the drop in procedures. 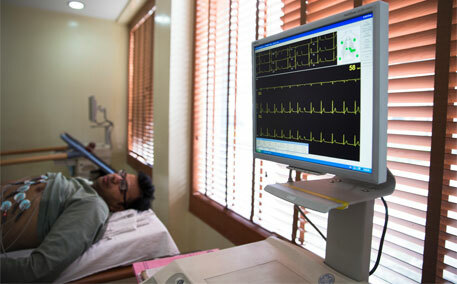 In May, a research conducted by Maharashtra’s Food and Drug Administration (FDA) had revealed that hospitals sell life-saving coronary stents to patients at exorbitant rates. Imported stents costing Rs 40,000 are sold to patients at Rs 1.25 lakh. Also, hospitals do not allow patients to choose from differently-priced stents available in the market. When questioned, Chandra denied that there was a nexus among importers, distributors, hospitals and doctors to make patients buy costly stents. He said doctors often choose among stents available with the hospital just before surgery to decide which one will suit the patient and, hence, it is not possible to ask patients to buy two to three stents from the market. But Chandra did admit that patients buy their own stents during angioplasties at government hospitals.